I recently moved into my first house and thought I would share with you some of my top picks from IKEA to help you furnish your home on a budget. 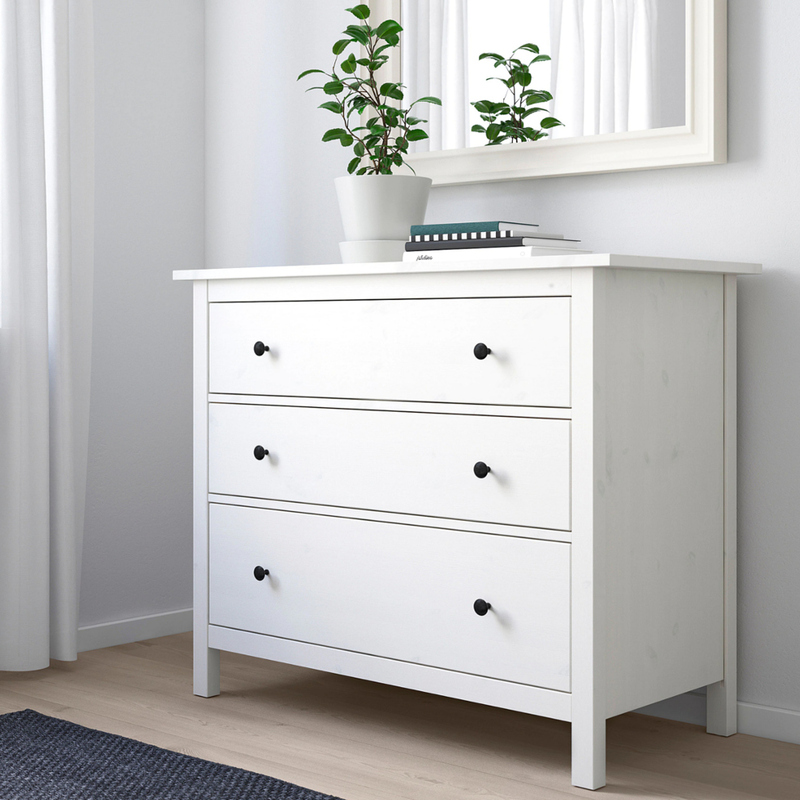 This sleek three drawer Hemnes unit is great for storing clothes and is a steel at £115. There are other sizes available too if you need slightly more or less storage. 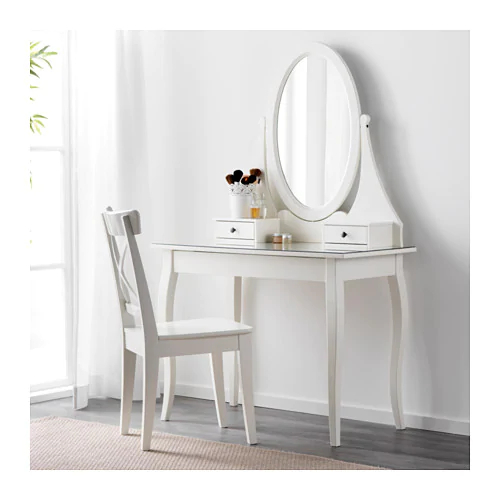 I’ve never owned a dressing table before and didn’t want to spend a fortune so decided to go for the matching Hemnes one for £125 (usually £150 but was discounted with my IKEA family card). I also got the matching ‘tinius’ stool for £20. 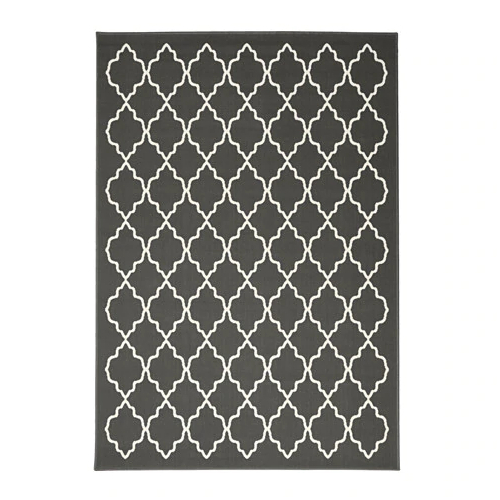 Hovslund rug This grey printed rug for £55 is definitely on my wish list. 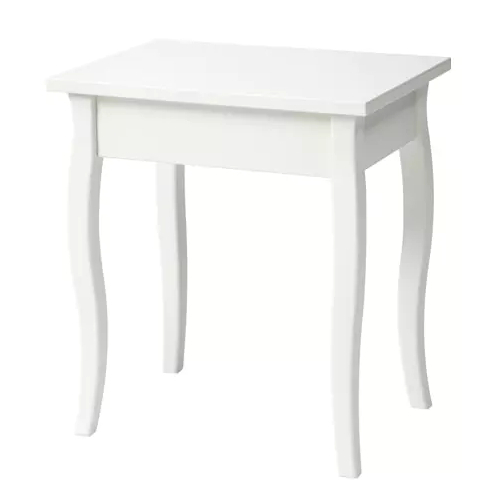 It would go perfectly under our dining table and add more texture to a plain room. 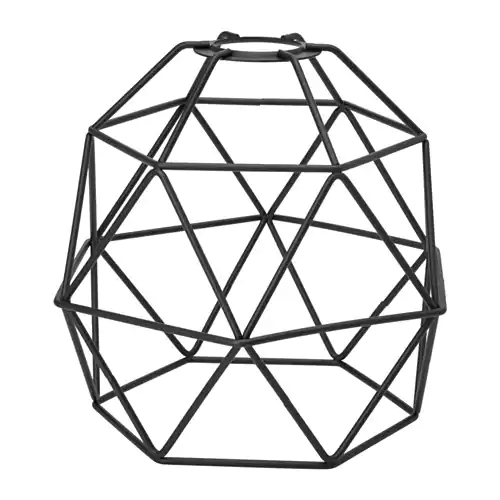 I got the large version of this lampshade for £18 for our hallway and the smaller one for £12 for our upstairs landing; I love how modern and affordable they are. 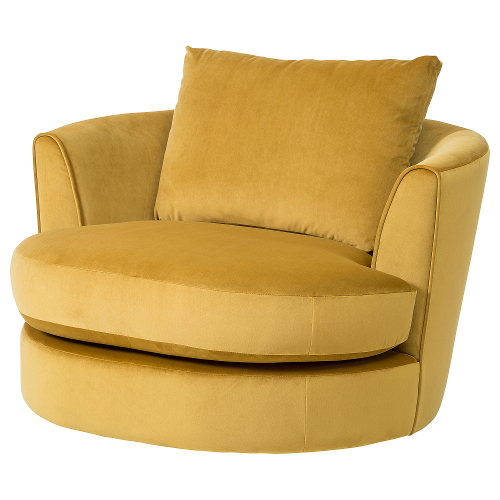 Mustard yellow features a lot in our house and this swivel armchair would add a great pop of colour to the living room. It retails at £450 which is quite pricey compared to the other items but is such a statement piece. This sideboard would be perfect in a hallway or dining room and looks a lot more expensive than it is at £350. 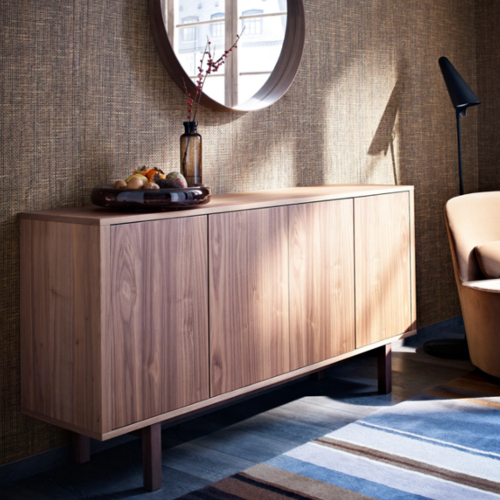 What are your favourite pieces from IKEA?